For the final evening of RECSTRATS two MammothMC members were concerned by the lack of strategic OHV/OSV planning for our area. After actively participating in several meetings and submitting online comments we felt that our efforts were somehow left-out, maybe selectively. Making a stand at table #6. I spoke up and described that we are missing the boat on motorized. Right now the Mammoth Motocross is in full swing and staring me in the face: our town is crowded with trucks hauling bikes around, Vons is packed with participants, families, and spectators - you can tell who is here. The economic boost to town is very evident, shouldn't this be a piece of our recreation master plan? Not surprisingly the group around table #6 agreed with my statements and presented it to the room as an item that missed the list of 20 other projects. Enhanced motorized support - OHV/OSV (year-round) - "Excuse my personal bias, but I've been to every meeting except high altitude and I'm not sure why this (OHV/OSV support) didn't make the cut. Motocross is here now and the impact is larger and more established than some of these wish list items. I'm not even a motocross fan but can see the benefit to enhancing all motorized activities through-out town. 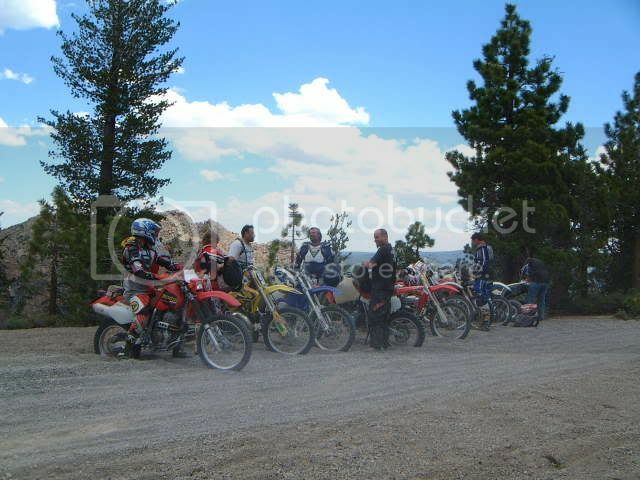 Enhanced motorized = opening the track for public use, signing routes, more motorized singletrack, aligning Mammoth Lakes with the dual sport Adventure Trail System, stewardship, signature trails, specail events, and year round includes snowmobiles!!"